Vincent Carpenter’s life is a wreck. He has given up his dreams. He has lost his job after an economic disaster. His ten-year marriage is crumbling. Then he awakens in a maniacal land of frighteningly vivid realism with skull trees, glowing forests, ravenous beasts, and other psychologically haunting adversity. 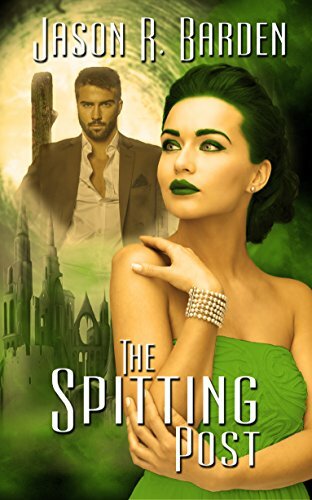 While traveling through this demented unearthly world, he has a chance encounter with a beautiful maiden dressed in green; before he can start a conversation, she disappears into the unknown. Vincent must try to find her at a fantastical place known as the Spitting Post. But first he must overcome many macabre misfortunes and face nightmares that question his sanity. Will he reach her? What will the Spitting Post reveal? Will he suffer more disappointment and tragedy? Or will he find peace at last?